This is why I love Linux. If you don't like one application, choose from the alternatives, simple as that. GNOME Do is an incredible launcher application for Ubuntu. 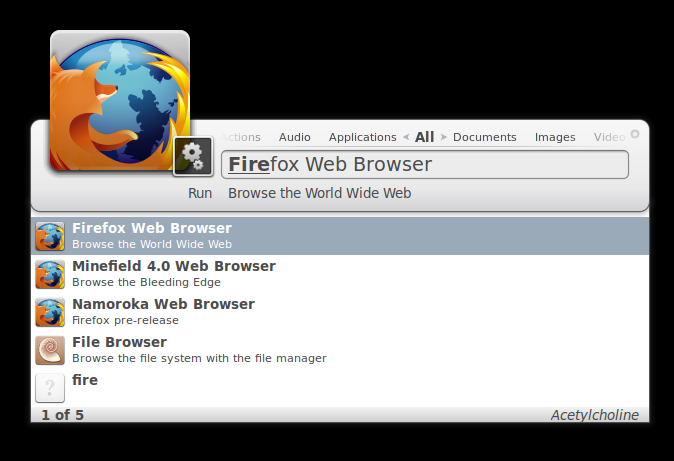 But since GNOME Do is basically a Mono application, many might refrain from using it. But don't worry, Synapse and Kupfer are equally good or even better GNOME Do alternatives. Learn more. Kupfer is a convenient command and access tool that does the job. 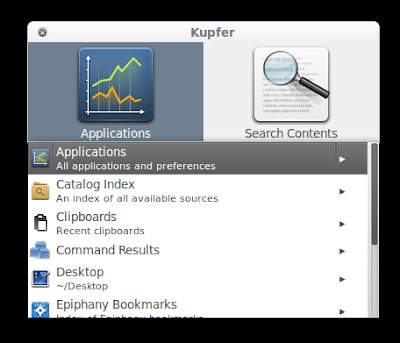 The default keyboard combination to launch Kupfer is ctrl+space and by simply hitting down arrow, you are able to access your list of applications quite easily. 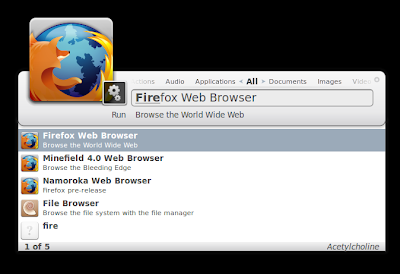 Below screenshot depicts launching of Opera browser in my Ubuntu using Kupfer. To install Kupfer in Ubuntu, simply do the following in Terminal. Done. Now goto Applications - Accessories - Kupfer. Now, whenever you want to launch Kupfer, hit ctrl+space. Kupfer is quite remarkably light weight and easy to use. It also come with a number of plugins and many of them enabled by default. You could find more Kupfer tips here. Synapse is another good GNOME Do alternative which is quite new also. Synapse definitely looks a lot better and might even be a bit lighter than Kupfer. And like Kupfer, It can used for launching applications and your internal files as well. In the first screenshot, I am launching Hotot twitter client using Synapse and in the below screenshot I am launching a video(see the preview) downloaded from YouTube using Synapse. Do the following in Terminal to install Synapse in Ubuntu. Done. Now goto Applications - Accessories - Synapse to launch application. Please note that, both Kupfer and Synapse has ctrl+space as the default key combination. So don't run both applications at the same time. Or else, you need to manually set up different keyboard shortcuts. After using both of them for nearly an hour, Synapse turned out to be my pick of the two. How about you? And if you are wondering, all those beautiful icons in the screenshots are because of the newly upgraded Faenza 0.8 Icon theme for Ubuntu.